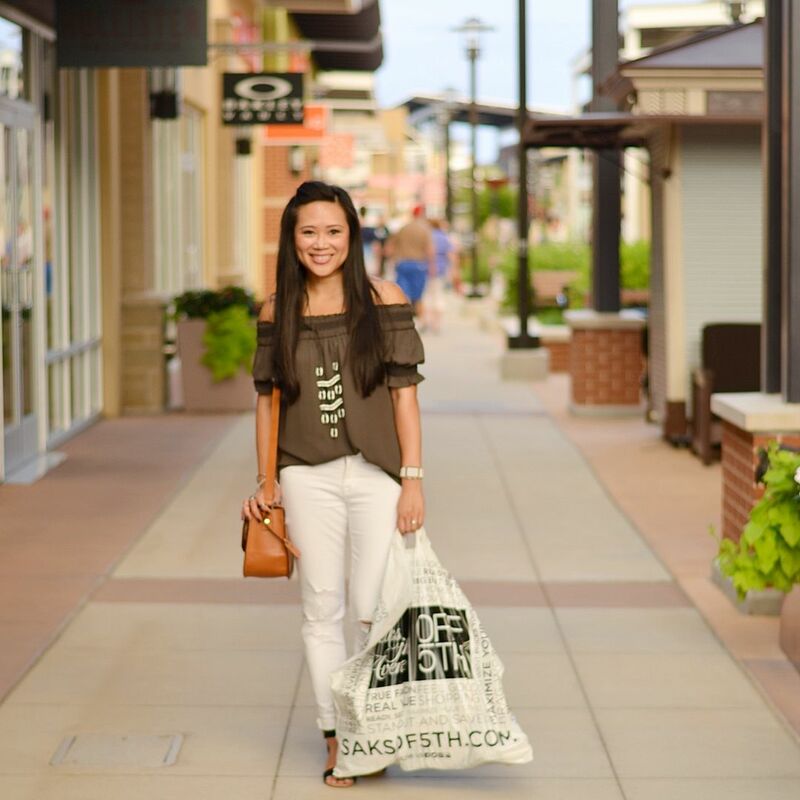 In one of my posts last week, I mentioned a fun blogger/shopping event at the St. Louis Premium Outlets hosted by Psyche from Economy of Style. I was looking forward to it all week! Not that work is crazy, but ok, maybe it's been a bit crazy the last few weeks and I can never turn down a good retail therapy session! When she invited me, I was certain I would have a schedule conflict because we have been so busy this summer. Miraculously, the moons aligned and I was able to attend! I wanted to recap the event for you today because I will be sharing a couple of my purchases in outfits throughout the week! First thing's first, let's go over the outfit I chose for the event! Unfortunately, the outlet mall is about an hour away from my house, and since work is already 40 minutes from home, there was no way I was going to make it home to change after work and before the event. So, I had to make sure my outfit was going to stay pretty fresh for a good 15 hours. I pushed the limit a bit for a work outfit and decided on this olive off the shoulder top with these ripped white skinnies. I originally wanted to wear my chunky espadrilles because I love the height it gives me without the expense of comfort, but in the end, thought these simple black sandals looked the best with the outfit instead. Now onto the event details! 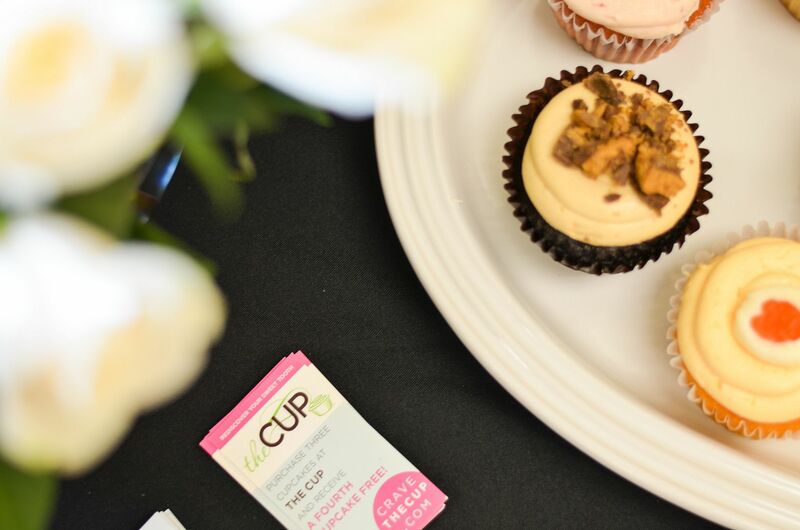 No blogger event is complete without cupcakes, amiright? And these are from The Cup which I have featured on the blog before! I ended up taking mine home and sacrificing it to the husband. (Kind of like a peace offering/distraction from my spending….) He cut the bottom of the cake part off and placed it on top of the icing to make it into a sandwich. Genius! 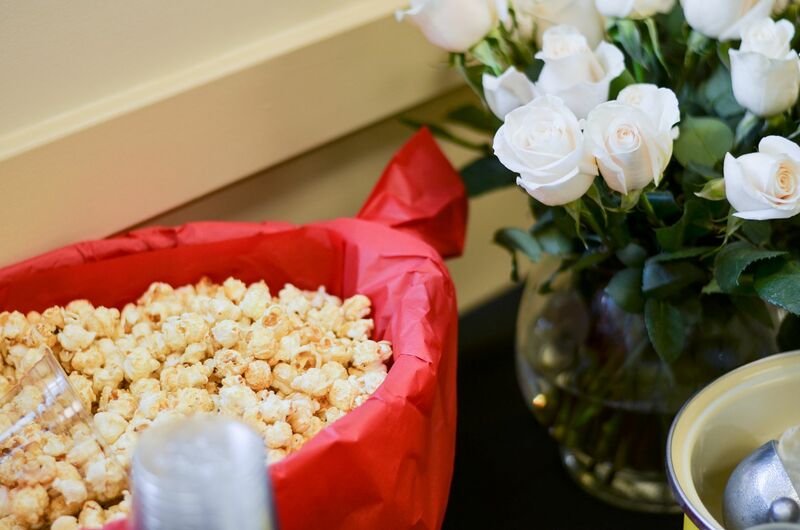 There was also kettle corn, and can I tell you? I'm not really a big fan of kettle corn because I am a purist when it comes to popcorn and believe the best flavor is just good old butter. I don't know if I was just starving or what, but this kettle corn was amazing! I should have probably caught where it was from…. So, they hooked us up with some swag bags filled with miscellaneous goodies from some of their stores. My favorites were a free grande drink from Starbucks (duh), the perfect sized makeup case from Saks, and a Vera Bradley travel mug. There were also some coupons and discounts included in the bag, and oh, did I mention, they gave us a $100 gift card to shop the entire mall? Not a bad way to spend my Thursday night! The last time I was in this shoe section (which was a year or so ago), I saw a pair of Chanel pumps. Yep! It's that good. As with any discount store, you do need to do some digging, but I was so impressed with the selection of size 6 shoes they had! Normally I get one, maybe two racks. There were at least 5-6 racks of shoes I was digging through. And that is the reason why I only ended up visiting two stores. Oops! So what did I come home with? 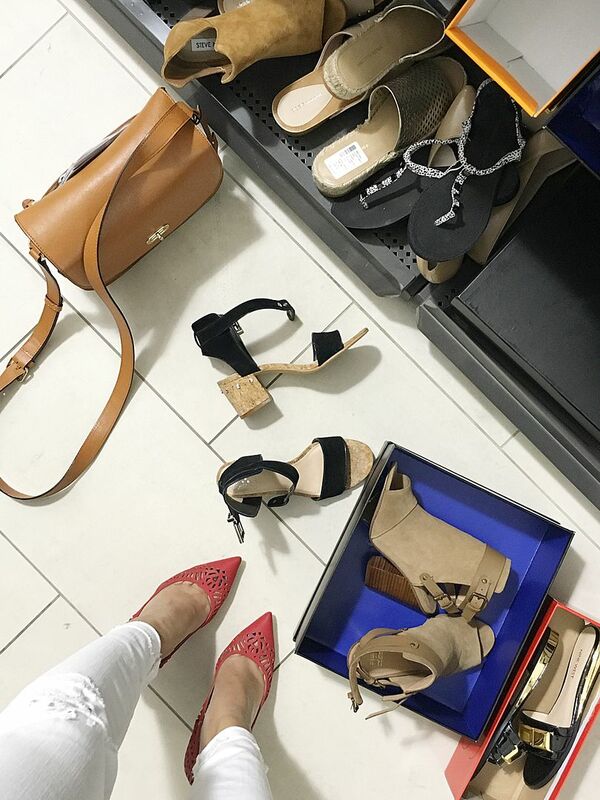 All of these shoes were #FoundAtSimon! I plan to style them throughout the week, so stay tuned! I also scored the cutest, olive colored, ruffle-y zip up Romeo & Juliet Couture hoodie that was regular $220, on sale for $49.99. Excited to wear that for cool summer nights and for fall! Hopefully you saw me model that on Snapchat, if not, I'll have to get it on the block stat! Front row, left to right: Elena (Cheetah Talk Y Mas), Aramide (The Sassy Peach), and Me! I asked Psyche if she could send me a copy of our group photo because I thought it turned out well, and it's always nice to show you who the other bloggers are here in St. Louis. Unfortunately, both Jenna and Jacqueline were out of town this day, so I was missing them! Perhaps that contributed to my big need for retail therapy! 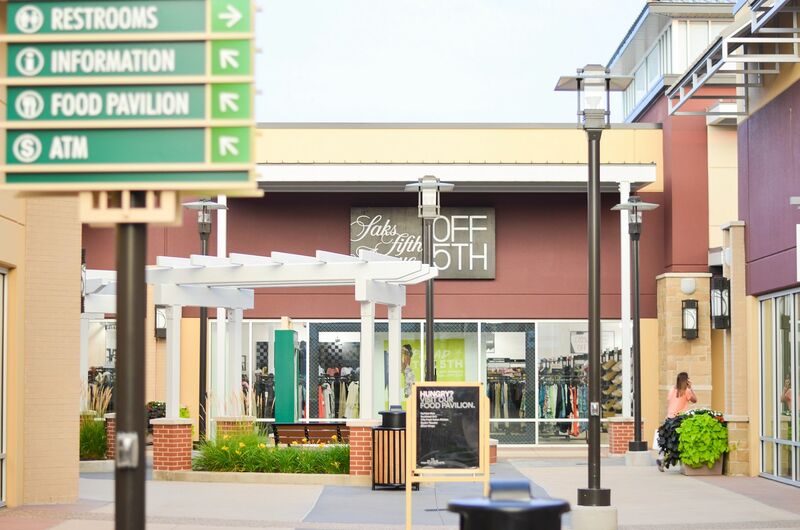 If you're not familiar with the Premium Outlets, it's operated by Simon Property Group, and they are definitely my favorite when it comes to outlet malls. I try to shop them everywhere I travel because their store line up is the best with places like Neiman Marcus Last Call, JCrew, Kate Spade and things for the husband like Oakley and Under Armour. It's always worth my time to dig and scour for the best deals here. We found out about two pretty big events coming up at the outlets. First - tax free weekend is August 5th to the 7th! The next best weekend to Black Friday shopping! Also, Nick Jonas and Demi Lovato may or may not be at the St. Louis Premium Outlets this Friday August 5th. As a blogger, we have the opportunity to attend and provide media coverage! How freaking sweet is that?! I will be putting my name in for that opportunity! Whew! Can you feel the excitement while you read this? It was such a fun night. It's hard to not have fun when you're shopping, but it's always nice to see the area bloggers in real life! 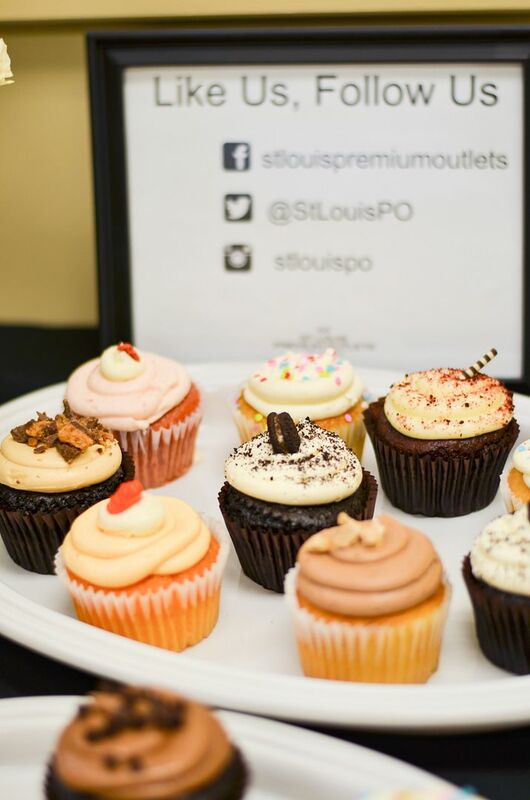 Thank you to St. Louis Premium Outlets for sponsoring such a fun event! Sounds like a great shopping party! Can't wait to see the things you bought. Your outfit for this event was so cute, love the olive and white. Great finds! I love Simon Outlet Malls, too, and often travel the 4 hours to the nearest one to go shopping! And I always find the best deals there, too! 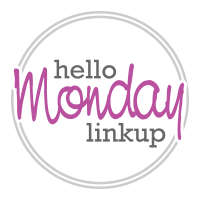 Don't forget to come link it up On the Edge of the Week! Amazing shoe finds! Loving your tribal necklace with this look as well. Thanks for the link up! I love Premium Outlets esp the one at Cabazon here in Cali! This event looks like so much fun! You found the best pieces at Saks! That necklace is so perfect with the OTS blouse! Loved following along in real time on snap! You got some great shoes. This out is perfect on you! Love the Kendra Scott earrings with that chic olive blouse. And I wished I looked like that in white jeans! I love clothes & shoes, don't get me wrong! But for some reason, getting a great deal is such a thrill that it almost doesn't matter what I bring home!! I've only been to Off 5th once in my life, and I can see how that should be remedied soon!! What a fun night! Love your top. You look beautiful! Looks lik a fun event and love those booties you bought. Love the outfit you wore! Loosk like such a fun event! Love Premium Outlet Malls! Everytime I go to the States, I try to hit one up - they have the best selection. Such a chic outfit! Love the off the shoulder top! Ive been invited to a Simon event for the 7th. Sounds like you had a good time and found some deals. Oh man, what amazing shoe finds!! That looked like such a fun event. 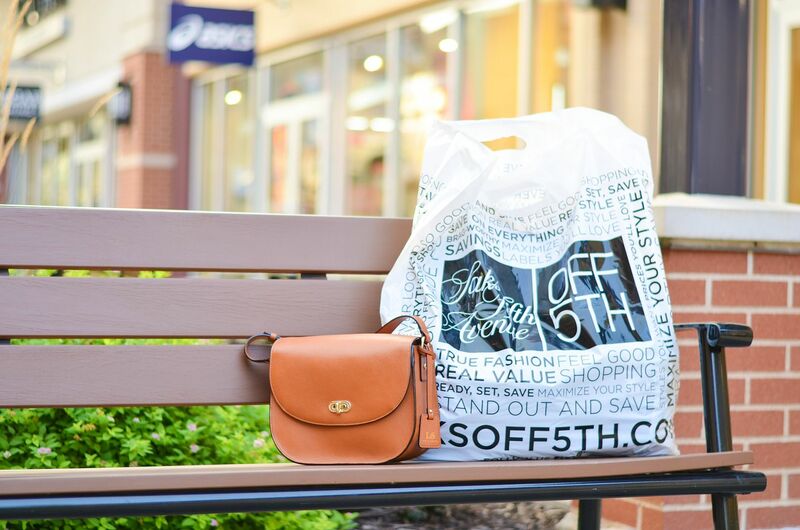 I love Saks Off 5th--thank goodness they have an online shop, too since I can't go here in Italy! 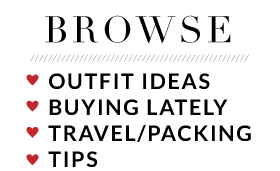 Sounds like some great retail therapy to me. 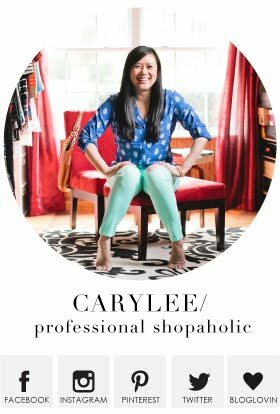 I love the shoes you got, especially those cute peep toe booties! I love your outfit; that off the shoulder top is so cute! And that sounded like such an amazing shopping event, so fun! 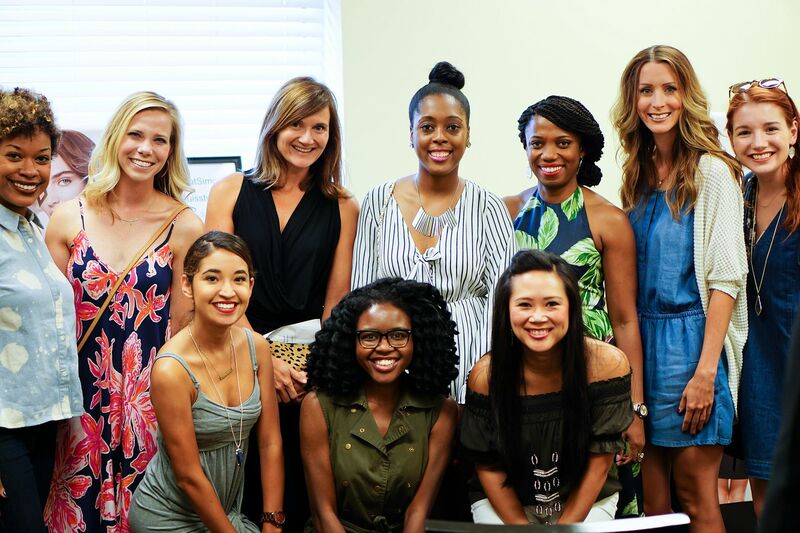 Love blogger events! It's so fun to talk with other ladies who love the same things I do. Stop by my blog today and enter for a chance to win Brosway pearl earrings! Your finds!!! Amazing. I had so much fun with you. You looked fabulous as always too. This looks like such a fun evening!